I made this video because the PokerTrikz forum members were asking a lot of questions about proper bet sizing. I discuss the different factors you must consider when deciding your bet sizes and I have a few good sample hands. I played four 6-max tables of 200NL at Full Tilt Poker in this video; but I currently am playing at and recommend the 27% rakeback deal at True Poker. Most new players will only consider the strength of their hand when determining their bet size; this is not only exploitable, but there are more important factors. Some stronger players will realize they can adjust their bet sizes based on their opponent’s estimated hand strength. This allows them to make better bluffs when they sense weakness and extract more value when they sense strength, but this still isn’t thinking deep enough. While there are many factors that I could discuss, here are some easy things to consider that new players easily overlook. We have to adjust our bet sizes totally different against short stacked opponents. Someone is considered short stacked if they have less than 40-50 big blinds in their stack. Because they have so little money, they are likely to make the same play regardless if you bet 50% or 100% of the pot. When continuation betting against short stacks, I will bet 50% pot with any strength of hand. This allows me to get away for cheap when I’m weak and give my opponent a false sense of fold equity when I’m strong. 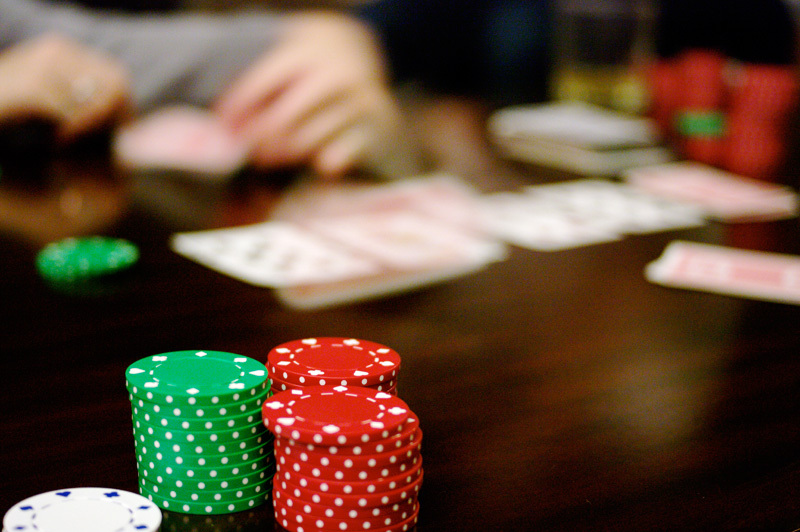 The proper way to exploit this strategy would be to make frequent calls with bluff catchers, but a short stack can’t do that or will pot commit themselves with weak hands. You can find more information about this in the Trikkur 4 video and my explanation of wet vs dry flops, but here is a good reminder. On dry flops, you can bet smaller on the flop because your opponent is less likely to connect with the board. Once they make a call on a dry board, you can then increase your bet size to something very large because they will be unlikely to fold. On the other hand, you have to bet larger on wet flops because your opponent is more likely to have a draw and you want to give him bad expressed odds. You need to consider your end goal for each hand you play as well. If you flop a good hand such as two pair or a set, you will want to get it all in. This means you need to make large enough bets, so your opponent will be all in by the river. Other times you will have a marginal made hand and it will be obvious that you don’t want to build a large pot. In these situations, you must bet smaller than normal and look for chances to check for value on the turn. I also talk about the concept of Way Ahead/Way Behind (WAWB) and how it should affect your bet sizing. Normally WAWB situations arise on dry flops such as . If we were the preflop raiser with ; this flop would be considered WAWB. Our AQ is either crushing the villain’s weaker Ace or 2nd/3rd pair on this board, in which case he is drawing to 3-5 outs at most -or- he has a set of 9s or 3s, in which case we are drawing almost dead. In this situation you should make a small continuation bet on the flop because our opponent is going to always play his hands in a similar fashion regardless of our bet size. The small c-bet will take the pot down most of the time, but when our opponent calls we know we are in a WAWB situation. With a hand like AQ, I’m feeling confident that I’m the one way ahead because he would have 3-bet AK preflop and that only leaves possible sets, which are a small part of his range. Once we know the villain likes his hand in this spot, we should actually increase our bet sizing considerably to 90+% pot. It’s going to be very difficult for the villain to get away from a hand such as AJ on these dry boards and we want to abuse that fact. In the video, I mentioned signing up for rakeback with RakeUpdate, but DO NOT do this. They shut down their websites after Black Friday and ran off with everyone’s money. Thankfully this video is a bit old and PokerTrikz has been offering rakeback since 2008. As you can see, PokerTrikz is still here and quickly approaching $1,000,000 paid in rakeback to PokerTrikz members. My favorite rakeback deal right now is True Poker and that is where I currently play at. I’m from the US and have a limited option of rakeback poker room to choose from though. If you are non-US, I am really jealous because you can play at Party Poker, which has a great “rakeback” system in place and some amazing table selection up to 400NL. True Poker is my #1 choice for US players. I currently play here because of the fast payment processing and 27% rakeback deal. PokerTrikz.com ©2007-2013 | Contact Me | Please consult with your local gambling laws before playing online poker. If you or anyone you know has a gambling problem, please seek help.